SCWO members attended the ‘Understanding CEDAW’ session on 4 March 2019 – an educational platform that aims to provide members with opportunities to gain a deeper appreciation of CEDAW—its mechanisms and its impact on the constitution and legislation in Singapore and to provide a platform for members to share their views and clarify questions. The session was well attended, with a total of 35 participants from 19 organisations. 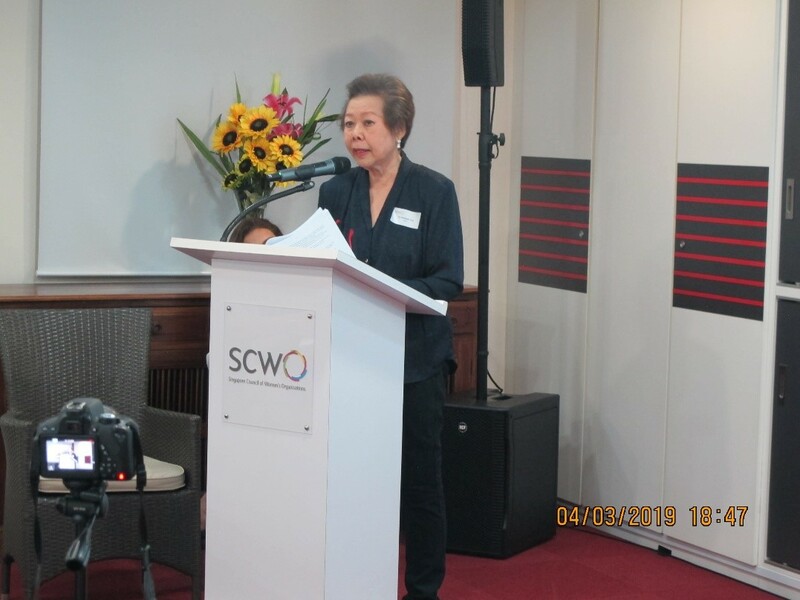 To facilitate an effective evening of learning, the session was kicked off with a presentation sharing by Dr Anamah Tan on CEDAW and the Women’s Charter. Participants also had the opportunity to put their knowledge to the test when they were quizzed on these topics—everyone agreed that they had gained new insights, and for some, a timely refresher on matters regarding women and CEDAW. Junie Foo, our 1st Vice President and Chair of the Research Committee rounded up the event by doing comparisons of the various shadow reports that were submitted during the 68th Session of the UN Committee. She suggested to work together with members to find common grounds and encouraged members to provide inputs for discussion. Click here to view her presentation materials.